"While this cleanse isn't possibly as challenging as other cleanses available, I found I was not hungry, but still wanted "bad food". However, because the salads and juices are so tasty, I managed to stay the path and get through without cheating. I was happy at the end, and felt better for having done it. It then set me up to want to feel good every time I wake up." "So tasty - perfect afternoon treat"
"Deeelish! My fav - so good "
"yum! Love this one "
"Yum!! Earthy and sweet "
"Thank You I would definitely do the Reset Me Juice till dinner again." "The milk was tasty and gave a chocolate hit at the end of the day without being bad for you ! " "Soo good as an afternoon snacks. Love it! " "Third or fourth time I have bought a cleanse from PHD- so convenient and well organised, and I always feel amazing after! Great customer service and good company to deal with!" "Easy to do, well done! " "The size and price of this pack was perfect, I wasn't do a total cleanse this time I was just trying to add some good stuff back in after christmas and prior to surgery next month. this size and price was awesome for that. All the juices tasted great"
"I thought the 3 day cleanse was great and I felt so good afterwards. Only thing is the Tabouleh salad in the evening and the cashew drink I couldn't stomach. 3rd day Ii couldn't eat the salad. Rest was great - so much so I am doing it again in another week. Thanks Sarah "
"Awesome. However the Cashew drink was abit hard to stomach." "Excellent delivery and packaging. Easy instructions to follow. A great way to start a healthy lifestyle. " "Was delicious, very chocolatey taste and filling, would buy again"
"I have done juice detoxs in the past that I did myself. A few years ago I even did juices only for 24 days. The PHD 3 day reset me cleanse was by far the best I have ever done. There was a great variety of flavours, I especially loved the Cashew milk at the end of every day. I had minimal headaches and I drank more juice each day than I ever have on any other detox. This is a wonderful product that I would highly recommend "
"The 3 day cleanse was so easy! Ordering was simple. Delivery and communication/Service were great. Products were tasty and I had a lot of energy post cleanse. I have already signed up to do it again monthly! " "Surprisingly good taste made it easy to drink. 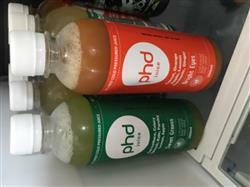 This is the first time I have tried the phd juices and I have been pleased with the experience. Good, well packaged delivery and quality products. " "I bought cashew dream at first but this mini resetme was better and cheaper i will definitely order again..."
3 Day Cleanse definitely worth it! "3 day Cleanse was easy and I was not hungry at all. My skin looks amazing this week and I feel lighter. The healthy eating has continued after the cleanse finished. It has reset my relationship with food. " "Felt amazing. So much food!! I could hardly finish what I was meant to in a day!! Juices were delicious. I especially loved the beetroot one. If I could afford it I would do this once a month!! Thank you!" "Second time doing the 3 day cleanse. Great way to start the New Year and reset the body. " 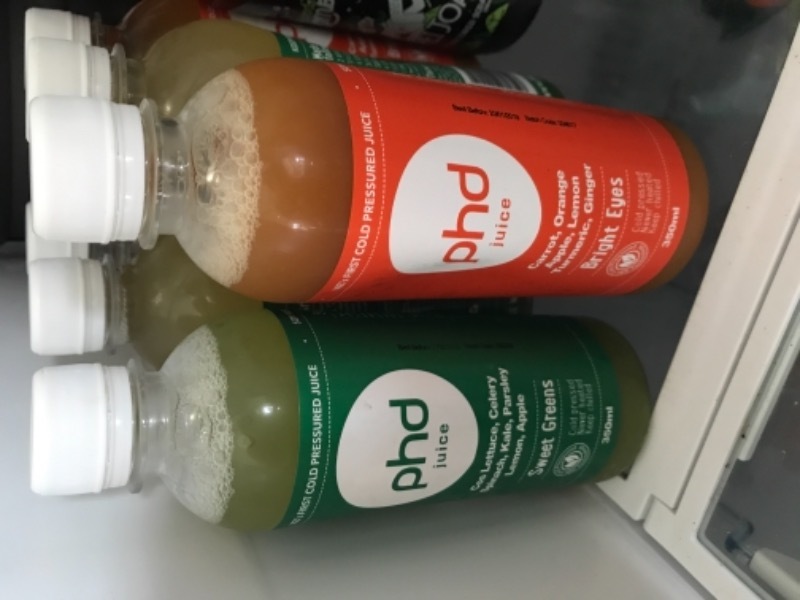 "I love Love Love PHD juices. Bright eyes and sweet greens are my two go-to juices and I try to have a constant stock of them in my fridge so I can have 1-2 each day! I feels like my body just soaks all the goodness straight from the bottle! Thanks so much guys - amazing product EVERY SINGLE TIME. KAT"
"It was good I did struggle on the first day in the afternoon with the lack of sugar I’ve become accustomed too but the headache was a good sign of things changing for the better! " "I love it. I will buy Choc Cashew again and I strongly reconmend it to everybody :-)"
"Fantastic! Great product and I felt awesome after the 3 days.I would certainly do this again and would highly recommend it. " "Surprising! I didn’t know what to expect but I really enjoyed it and have now signed up for a subscription "